In food processor, process all cheeses until well blended. Add basil and bell pepper; process with quick on-and-off motions until finely chopped and well blended. Cover; refrigerate at least 2 hours or until firm. Spoon cheese mixture into 3 (1-cup) ramekins or 1 (3-cup) bowl. Serve with bread slices. You can use 1 teaspoon dried basil leaves instead of the fresh basil. 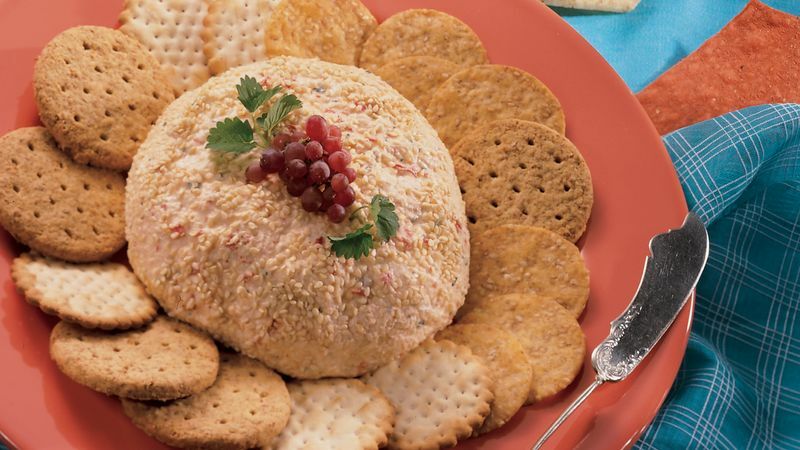 Add a flavor kick to one of the three cheese bowls by stirring in red pepper sauce, a drop or two at a time to taste. Label the bowl as "spicy" so as not to surprise guests.